There are many animals living in symbiosis on crinoid feather stars. These partners receive a steady food supply and help in turn to keep the feather stars clean of parasites. Please notice the color of this shrimp which perfectly fits the color of its host. These shrimps also come in yellow and red. 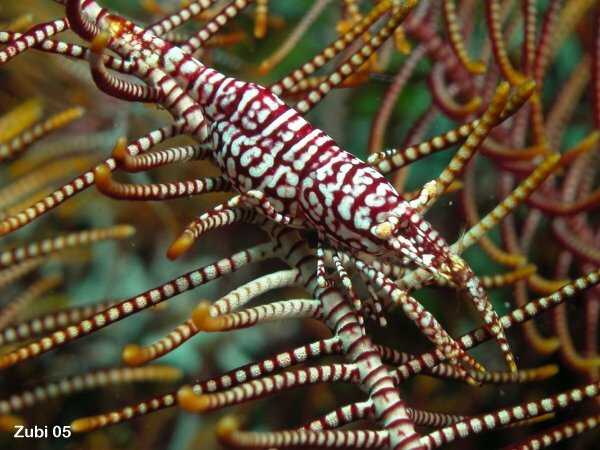 The feather star Oxycomanthus bennetti has quite large and thick arms and seems to be a favorite for these shrimps. 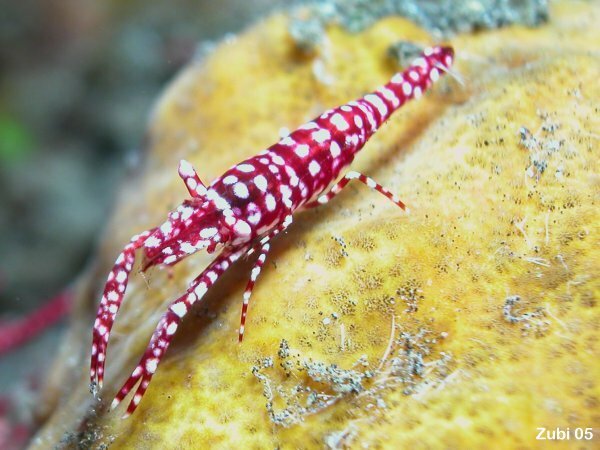 Detail of another Crinoid Shrimp in white and red colouring.